The mass protests happening in Ukraine over the past two weeks have caused the government to pass a number of so-called “dictatorship laws on the January 16 2014. 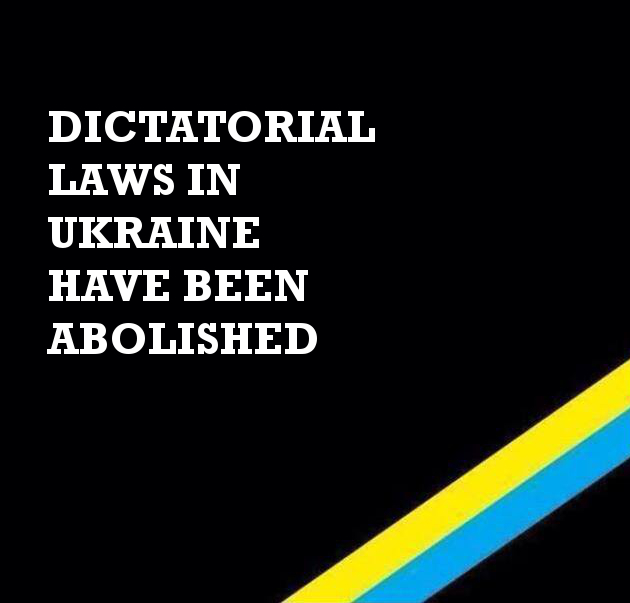 Today, according the Ukrainian government has cancelled nine of the ten laws with 356 votes. The now abandoned attempt at censorship that restricted freedom of speech and freedom of assembly also included law governing the process of blocking internet websites that not only promote terrorism, but that promote anti-government sentiments and even provide incorrect information about individuals or products. After the law has been adopted, the owner of the popular IT portal DOU.ua Maxim Ischenko has publically admitted that the operating an Internet website under the new legislation was impossible and published the access credentials for his website (source AIN.ua). Now Dou.ua redirects to a Panama-hosted Douua.org. As a tech blogger I can hardly do a justice to cover a complex subject of Ukrainian politics. The best source of hourly updates on the Ukrainian developments is Facebook Page Euromaidan.